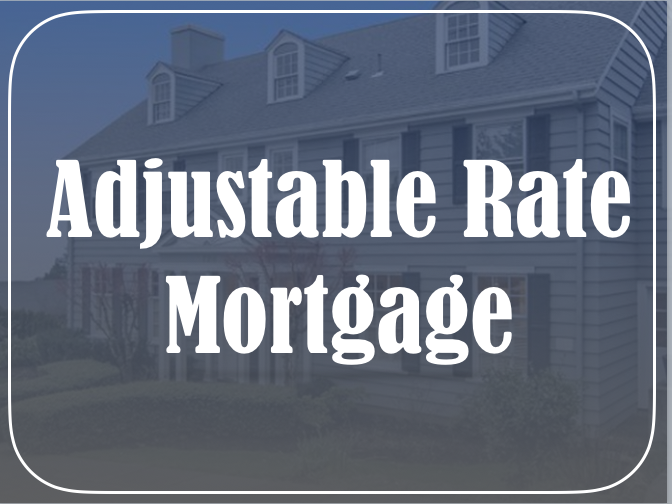 An adjustable-rate mortgage (ARM) is a certain type of mortgage in which the interest rate on the balance varies throughout the life of the loan. In other words, the interest rate moves up and down annually or even monthly throughout the life of the loan. Initially, the interest rate remains fixed for a time period. So the borrower’s rate does not change. After the period, it changes on long preset intervals. Generally, it is important to note that the initial interest rate is lower in comparison to a fixed-rate mortgage. However, after the initial fixed-rate period, the rate can fluctuate going up or down. In some instances, ARM can save the borrower thousands of dollars depending on the interest rate’s fluctuation. Adjusted-rate mortgages fluctuate with another interest rate called the index plus the margin after the initial fixed-rate period. The loan paperwork identifies the index (there can be many) that ARM follows. Market forces set the index rate while a neutral party publishes it. Furthermore, to set the ARM rate, the lender adds an agreed upon number of percentage points known as the margin to the index. Hence, although the index rate can change, the margin remains unaffected. For instance, if the index is 5% and the margin is 3%, the interest rate on the mortgage adds up to 8%. However, if the index is at only 7% the next time the interest rate adjusts, the rate rises to 10%, based on the loan’s 3% margin. If the index is 3% a year later, the interest rate will fall to 6%. The Federal Reserve Board tracks the U.S. Treasury that issue these yield debt securities. COFI is the interest that financial institutions in the western U.S. pay on deposits that they hold. Libor is the rate that most international banks charge each other on big amounts of loans. It is supposed to be phased out by the end of 2021. Two numbers usually express ARMs. The first number indicates the time length that the fixed-rate applies to the loan. It is not as easy to determine what the second number indicates however. For instance, a 3/25 ARM and a 4/27 ARM feature a fixed rate for 3 or 4 years following a floating rate for the remaining 25 or 27 years, respectively. On the other hand, 6/2 ARM boasts a fixed rate for six years followed by a adjusted rate indicated by every two years. In contrast to the formula, a 7/6 ARM has a fixed rate for seven years and then adjusts every six months. ARMs usually come with rate caps, which limit how much interest rate changes from one year to the next. Rate caps limit how high or how drastically the payment rates can change. Lifetime rate caps limit how much the interest can change over the life of the loan. Payment caps specify how much monthly mortgage payment rates increase. Furthermore, they detail increases in dollars instead of percentage points. If you are looking to purchase a new property, there are many loans that you can pick from. Furthermore,3CALoan can help you find a mortgage loan and a rate fitting your personal and property needs. Our customers have the option of choosing an adjusted-rate mortgage, fixed-rate mortgage, or even a mixed-rate mortgage. We guide our clients through every step and choice they can make to buy or refinance a property. Some loans require the customer to have a minimum FICO credit score of only 580 and make a down payment of as little as 3.50%. Additionally, our downpayment assistance program can provide assistance to new homebuyers with mortgage costs. Our competitive rates, efficient services, and talented team can help ease the process of purchasing a property. We help our customers every step of the property buying process. Our client’s happiness and confidence upon closing a deal reflects our excellent quality services. To find out more information about adjustable-rate mortgage loans and how we can help, contact us at (818) 322-5626.